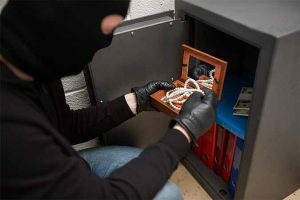 Under the laws of California, the crime of theft (also referred to as larceny) is defined as the unlawful taking of someone else’s property. Theft is divided into two classifications – petty theft and grand theft. If an individual in California is convicted of petty theft, the individual’s crime is punishable by up to 6 months in jail and/or a maximum fine of $1,000. Generally speaking, any theft that does not meet all of the requirements of a petty theft according to California Penal Code Section 484(a) and California Penal Code Section 488 PC will constitute a grand theft. In most cases, grand theft in California is a wobbler, meaning that it can be charged as either a misdemeanor or felony grand theft. A misdemeanor grand theft is punishable up to one year in county jail. If it’s a felony, one may be sentenced to sixteen months, two years, or three years of incarceration in the county jail. There are additionally many other defenses that the skilled trial attorney at Sanford Horowitz Criminal Defense prepared to engage to vigorously defend his clients.